New Salesforce Admin Website coming soon! Once upon a time & long long ago (back in 2010), a lonely Salesforce Admin longed for a connection with other Salesforce Admins as he clicked buttons on his way to mastering Salesforce. This was a time before the Success Community and before there were any Salesforce MVPs. 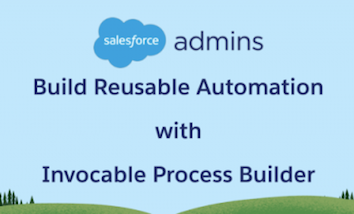 But this Salesforce Admin saw an opportunity to create a way to connect with other Salesforce Admins and establish an identity. That is when Mike Gerholdt created buttonclickadmin.com. to help people become the best button-click admins possible. 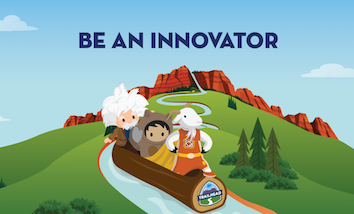 His vision grew as more and more Salesforce Admins started to connect, leading him to launch the ButtonClick Admin Podcast in 2012, and eventually to Salesforce hiring the ButtonClick Admin himself. We knew that Mike had tapped into something special with the Salesforce Admin community, and we needed him to bring that passion to life here at Salesforce to better serve our #AwesomeAdmin community. After nearly six years, we are extremely excited to announce that next week the next evolution of ButtonClick will be admin.salesforce.com: This new site will be the ultimate realization of Mike’s original vision to officially give Salesforce Admins an identity and home. 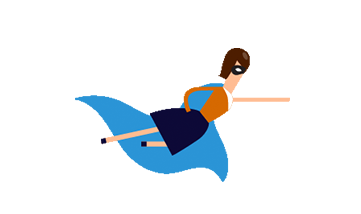 With the superhero theme front and center, your new site will strive to empower, inspire, and celebrate you, the Salesforce Admin! The new site will have useful and helpful content to help you grow your skills as a Salesforce Admin in blogs, podcasts, videos, and more. Our incredible #AwesomeAdmin community will be showcased for the world to see the great work you do and how you do it. 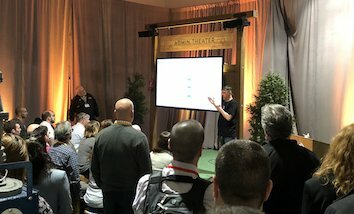 Let’s grow the Salesforce Admin community together! 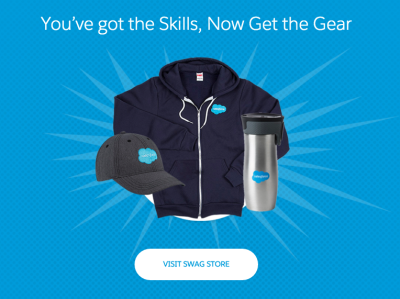 We’ve also got some exciting new things coming like an admin events section, Trailhead badge of the day, and a special Salesforce Admins Swag Store!!! And don’t worry, all the great content that you love from buttonclickadmin.com will be transferred to the new site, so you won’t miss a beat. We are beyond thrilled to launch this for you, so be on the lookout for the brand new admin.salesforce.com site coming very soon!